Home / CRUISING THE PAST / SS L’Atlantique of the Cie de Navigation Sud-Atlantique was an unique example for the next ocean liners of the 1930s. 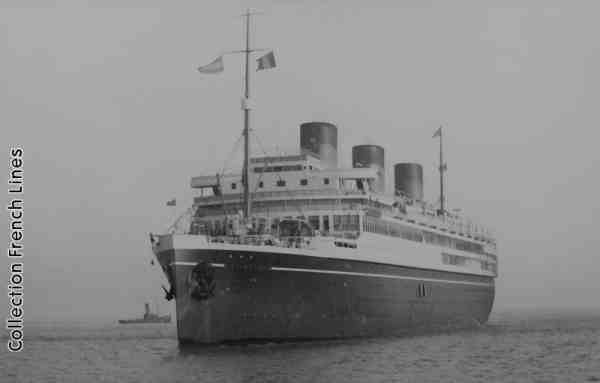 SS L’Atlantique of the Cie de Navigation Sud-Atlantique was an unique example for the next ocean liners of the 1930s. SS L’Atlantique of the Cie de Navigation Sud-Atlantique was an unique example for the next ocean liners of the 1930s, not only in Interior design, modernity, and wonderful Art Deco areas, but also a bad example regarding the risk of “fire”. Only 16 months she crossed the seas, when her lacquered interiors, wooden panels, were the victims of a fire on January 3rd 1933. Youtube video – L’ATLANTIQUE 1931-1933 Part I, before the fire. Take a tour , on the beautiful liner before the accident. Photos source: l’Illustration 1930, 1931 – Miroir du Monde 1933. 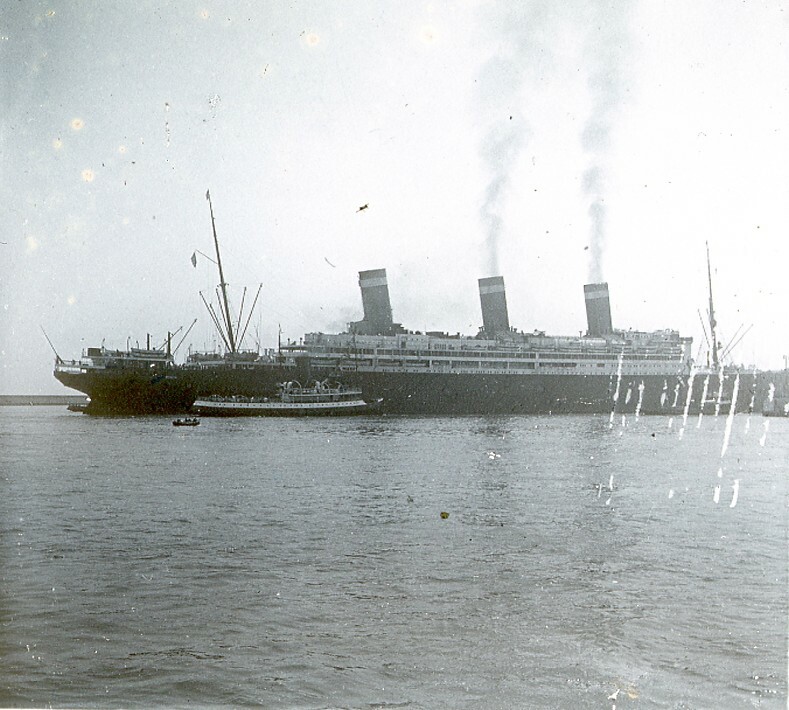 On this January 3rd, 1933 only a part of the crew was aboard, 229 souls, the ocean liner was on the route to Le Havre, for some refits and transformations….but early in the morning at 6h 45…..a fire broke out. Fitted out with the most expensive wooden lacquered panels, the Atlantique was on of the most modern designed liner of its period. The beautiful shopping gallery, the use of wood and the important spaces gave the fire the best conditions to destruct this unique Art Deco Liner. 18 victims were the result of this accident and new rules for fire protection for Ocean Liners. SS L’Atlantique was ordered from the Penhoet shipyards in St. Nazaire, France, birthplace of the famed Ile De France. In fact, she was considered by some to be the “first cousin” to the Ile de France. However, L’Atlantique would work a different route, and her end would come much sooner than the Ile De France. The L’Atlantique was part of the Compagnie de Navigation Sud-Atlantique. This line, as well as other lines on this route, traveled from European ports to South America. She was launched on April 15, 1930, and she set out on her maiden voyage from Bordeaux to Rio de Janeiro, Santos, Montevideo, and Buenos Aires on September 29. Her only shortcomings were the onset of the Great Depression, as well as her external appearance. Externally, she was a rather ugly ship. She looked top-heavy, coming close to looking clumsy. In order to improve her appearance, her three funnels were heightened. Inside, she was beautiful. Everything was in tune with that which would be found on any North Atlantic vessel of the French Line on the North Atlantic. In the picture at left, you can see the L’Atlantique’s famed shopping mall. However, L’Atlantique was not alone in her destruction at that time. Another French liner, the Georges Philippar, was destroyed by fire. Fifty people turned up missing after that fire. And that’s a lot, considering that her total capacity was 850 (600 passengers and 250 crew). The Georges Philippar was believed to be destroyed due to defective wiring. This led to an accumulation of a high electrical charge in the ship itself, causing fires to break out all over the ship at the same time. The French press believed a similar cause of the fire on the L’Atlantique, but some hinted at sabotage as the cause. However, who was to claim the still-floating wreckage of the liner caused rivalry between the French, the Dutch, and the Germans. However, the tugboat captains from these companies were beset by waves, winds, and currents, which caused the wreck of the L’Atlantique to list to starboard, which made some wonder if she could even make it to Cherbourg harbor before sinking. The first people to board the ship after the fire were two Frenchmen, who risked their lives to raise the French tricolor for the purpose of claiming the wreck for France. However, the tricolor was soon blackened by the clouds of smoke that were still coming out of the liner. Continuing the national rivalry, the captains of the three nations’ tugs, after towing L’Atlantique into Cherbourg, all filed reports with the Chamber of Commerce in Cherbourg in order to settle the controversy of who salvaged the liner, and thus who owns it. Captain Schoofs claimed that the liner was not officially abandoned, as he gave the captain of Minotaure the authority to take charge of the salvage. But if it was abandoned, the first tug to start salvaging it owns the ship. The French press didn’t particularly appreciate that the liner’s salvage caused a bitter salvage fight. Though the fire was finally put out on January 8 by the Cherbourg fire brigade, the value of the remains could not be properly assessed until the hull had been pumped out and the wreckage cleaned up. The estimates were that if L’Atlantique was able to be restored after the fire, she would be worth from $2,500,000 to $3,000,000. However, if she was only good for scrapping (as ended up being the case), she would only be worth $80,000 to $120,000. After she made it to Cherbourg, a year-long battle between the marine underwriters and the ship’s owners ensued. During this whole to do, she sat idle in Cherbourg. It was finally determined, after the final accounting of insurance money coming to $6,800,000 in favor of the Compagnie Sud-Atlantique. Finally, in February 1936, with there being no intention of restoring L’Atlantique to a marketable state and no further need for the ship as evidence, she was sold to scrappers. Thus, she was towed to Smith & Houston, at Port Glasgow, and turned into scrap metal. Previous: “Darling of the Dutch” – Holland-America Line’s trans-Atlantic Liner SS Nieuw Amsterdam on Youtube. Next: TITANIC MOVIE – FROM 1929 – PART TWO – Great short movie of the RMS TITANIC.